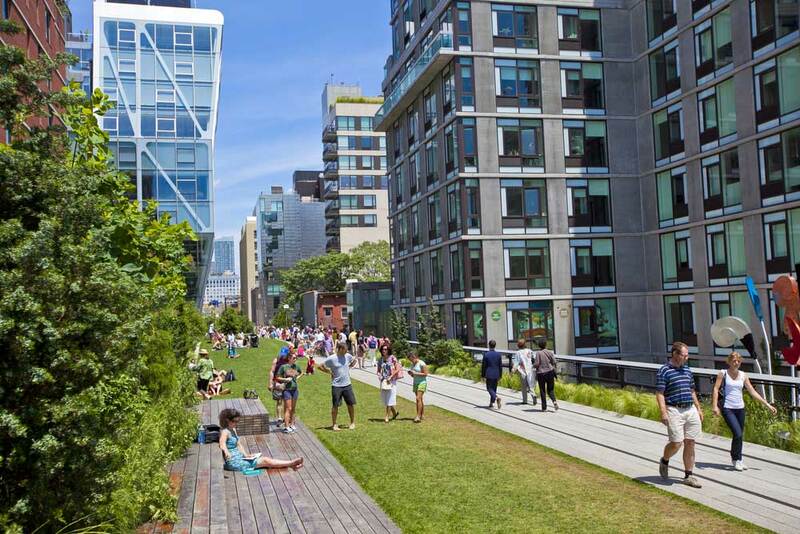 Check out The High Line, an elevated park that weaves through western Manhattan. This rails-to-trails urban park was made from a disused portion of the West Side Freight Line that was abandoned in 1980. The green space runs 1.45 miles, from W 34th Street to roughly 14th Street in the Meatpacking District. The closest entrance to The High Line from The New Yorker Hotel is on 34th Street, in between 11th and 12th Avenues. Simply head west on 34th Street for 3.5-blocks, which will lead you to the northernmost access to the park. Pack a lunch or order food from one of several vendors located along the park’s path. You can eat and relax among the plants and flowers while taking in the views. Times Square is perhaps the most distracting place in New York City. This is why artist Max Neuhaus created an unmarked sound installation in the middle of the chaos back in 1977, just to see if anyone noticed. Few did. The piece existed in the pedestrian concrete area on 7th Avenue between 45th and 46th Streets from 1977-1992, and was then reinstated in the same spot in 2002. While checking out the bustling Times Square, see if you can hear the tonal humming coming up from the grates in the pedestrian island -- you can check it out 24 hours a day, 7 days a week. This unusual bioluminescent carousel opened in 2015 after 10 years of planning. It was created to offer another dimension of The Battery, a park located in the southern tip of Manhattan. 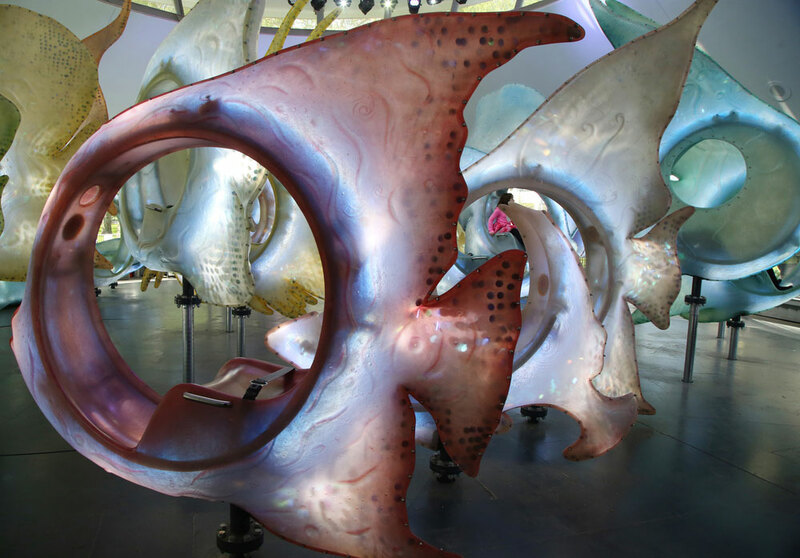 The color-changing LED fixtures and rotating fish are meant to be reminiscent of deep ocean colors. While the price is a bit steep at $5, chances are you won’t regret spending it for the other-worldly carousel ride. It isn’t far from the Statue of Liberty departure area, located here. Founded in New York City in the early 1900s, the Explorers Club promotes the research of the earth from the depths of its seas to its highest peaks. Famous members of the club include John Glenn, Theodore Roosevelt and Albert I, Prince of Monaco. The club headquarters is located in a Jacobean-revival mansion, six stories high and stocked with artifacts from explorations. Select rooms are open to the general public between 9-6 weekdays, and is host to varying public lectures. It’s not far from Central Park and the Upper East Side. Check out upcoming events here. Tucked underneath a mammoth skyscraper in the Financial District, this bar is located in an old bank vault that’s over 100 years old. The bar is still equipped with its original 35-ton vault doors. We recommend you stop by for a drink -- the bar offers food and has a 1940s cozy feel with mahogany wood accents. 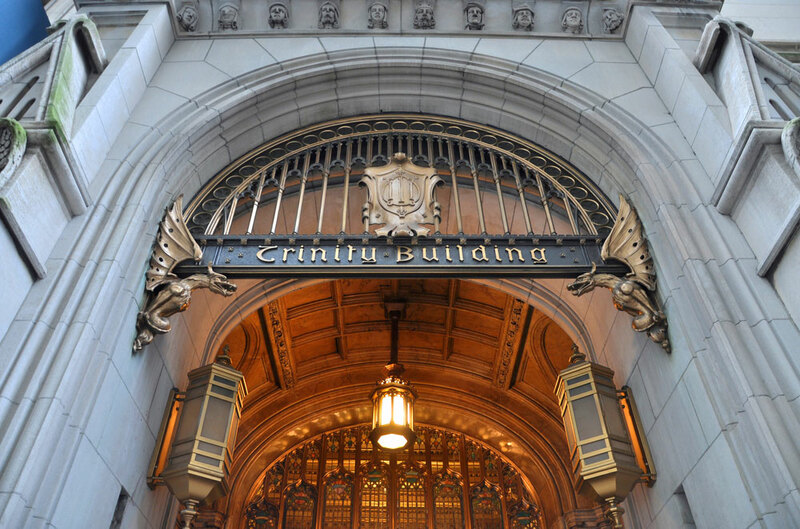 The bar is located under the Trinity Building in lower Manhattan.